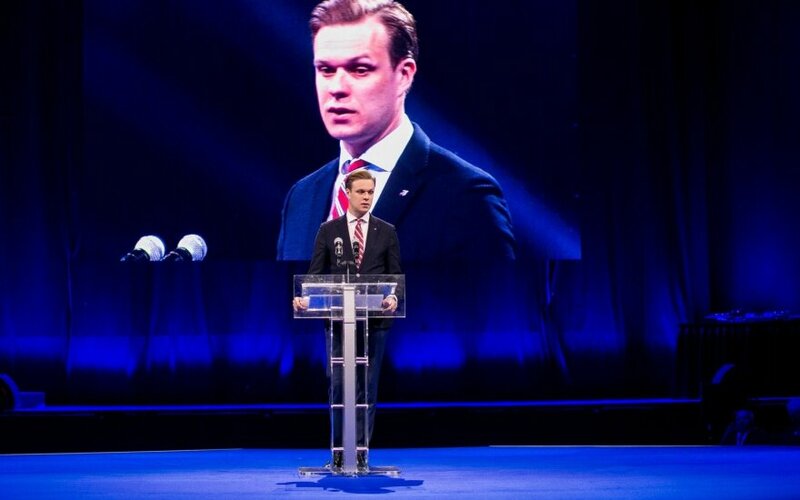 Gabrielius Landsbergis, leader of the opposition conservative Homeland Union – Lithuanian Christian Democrats (TS-LKD), is concerned about business' influence on the country's political system as well as attempts to change Lithuania's geopolitical direction. "The party system's fragility is causing concern, as well as large businesses founding parties like puppets. One blurred party was founded, another was divided, and we also have a judicial process which is pulling the whole political system down," Landsbergis told the party's convention on Saturday, referring to political parties mentioned in a recent report by the State Security Department. In his words, Agrokoncernas, a business group that belongs to Ramūnas Karbauskis, leader of the ruling Lithuanian Farmers and Greens Union, is also a cause for concern. The TS-LKD leader is also worried about attempts to change Lithuania's geopolitical direction. "Russia has been and remains a strategic threat to Lithuania's security. I see any withdrawal from this position as a betrayal of Lithuania's security interests. There's must be no doubt that it's a principled position of all of us, the red line we must not cross. A democratic and westernized Russia is Lithuania's goal. And foreign policy instruments should focus on that and not on alleged pragmatic cooperation with a Russia ruled by tsar Putin's corruption and aggression," Landsbergis said. 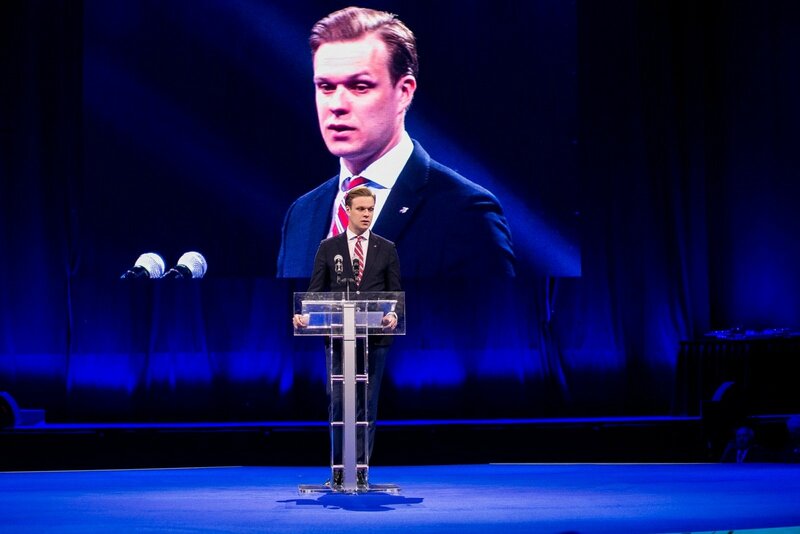 He called on Lithuania to initiate a European coalition united by common goals and values. "Lithuania joined the US in 2001. Today, I suggest we propose to Europe such a coalition and invite everyone who wants what we want to join. (…) I do believe that our choice to be together with Western partners is reflected in the adoption of the Magnitsky law. I do believe that Lithuania is capable of creating a European coalition of Magnitsky countries," Landsbergis said.